While I used olive thread this time, I can't see that it makes much of a difference. I was surprised that the Opal colored tinsel flash was so dramatically different from the Pearl tinsel flash. Kelly specifies 'Pearl', and I think he is right to do so! Tied several black with silver beads/silver wire and gold beads/gold wire nymphs, then decided to expoy the bunch.............pretty good looking perdigons. Nothing makes a fish bigger than almost being caught. - Anonymous. 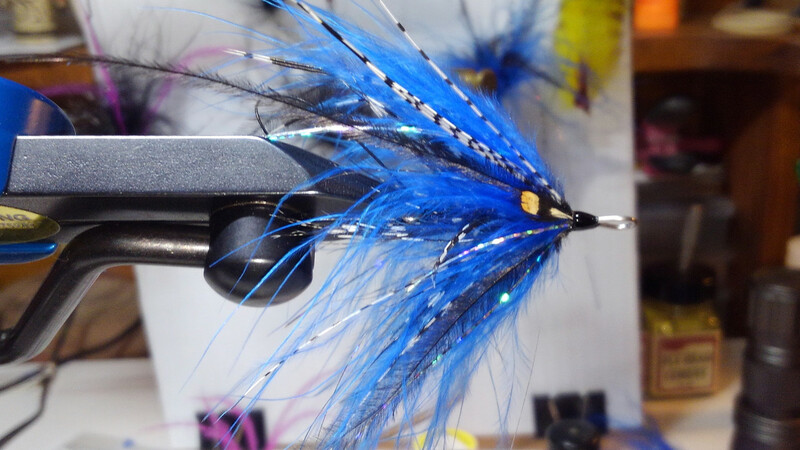 Blue/Black Hobo on 35mm shank. Here is a variant of the above so I guess it is not a Hobo anymore. I could use some advice from the Steelheaders here. There are plenty of blue/black & purple patterns but I think on the GL steel earth tones seem to work best but I might be wrong. Greg Senyo's patterns were developed in the Ohio/PA region so I'm really not sure. Any thoughts or comments ? This one is olive body & orange ...I was just shooting for something lighter. Does Kelly suggest any other thread colors under the pearl flash, or other rib colors? Or does he only specify olive and chartreuse? I'm thinking of the different thread colors people use under the pearl in Rainbow Warriors, like red, hot orange, and chartreuse, for example. 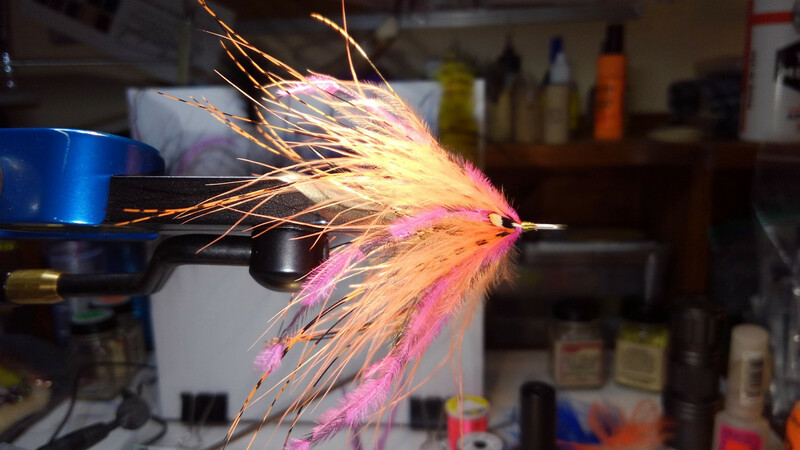 People also tie Brassies and Zebra Midges in a variety of thread and wire colors. 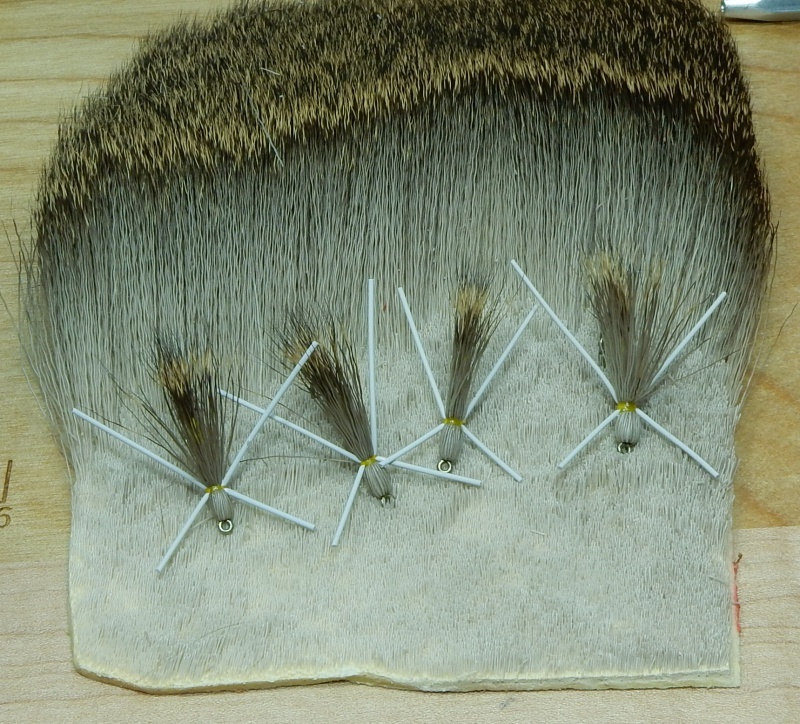 Kelly's recipe calls for Black thread for the body and Chartreuse wire for the rib. However, he mentioned to me that he sometimes uses Hot Orange wire for the rib. His original recipe used a couple wraps of Hot Orange wire at the bend to serve as a hot spot, but he's since dropped that. The olive thread bodies (as above) was just my idea, but I don't see why you couldn't mess around with other thread and wire colors to achieve a better effect for your local conditions. When I can get my hands on some small Olive wire, I'm going to try some with Olive wire ribs over light green thread. I also imagine that a black wire over a grey thread body could be effective. That pearl tinsel brings a lot of color to the game, so I think you have quite a bit of latitude in the color of the underbody. But those are just my thoughts.